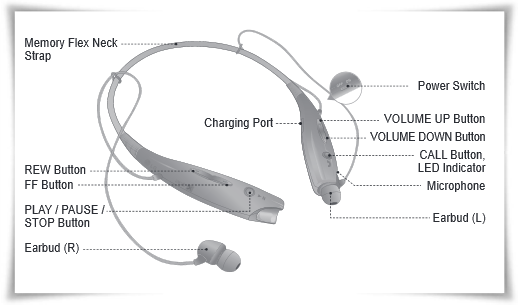 If you are owner of the LG HBS-730 bluetooth streo headset, you can download the manual or user guide in pdf format. This manual available in english and espanol language. It has 36 pages with file size of 3.36 MB. This manual very important because provide information especially about troubeshooting. The LG HBS-730 user guide is contains detail reference information such as description of Parts, how to use like wearing, charging, power on/off, low battery check, pairing bluetooth enabled, multiconneciton, auto connect, Equalizer, aptx, sms reader, Summary of Button Functions, troubleshooting and more.